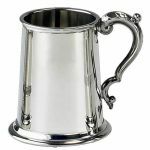 This shape is the Classic English Tankard, with the Swan Neck Handle and this one has a plain finish, so much more room to engrave and no lines on it!! Price shown includes engraving of text and a new logo would add £10 to the price (although this is a one-off price and if used again or using an existing logo, they would be free!). Please call 01865-736028 for more details and logo formats required. 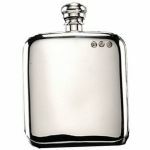 Classic and simple shaped plain hip-flasks, with enough room for a fair amount of free engraving!!! We can customise them with a logo, for a one-off price of £10 or if we already have it on file, it's free!!! Call 01865736028 for more information. Many customer enquire about different base options and these are nice Black PVC Heavyweight Bases with Nickel-Plated Caps on them, giving space for many years of engraving. Please call 01865736028 for more details and options. Cars, Bikes & anything that races! !